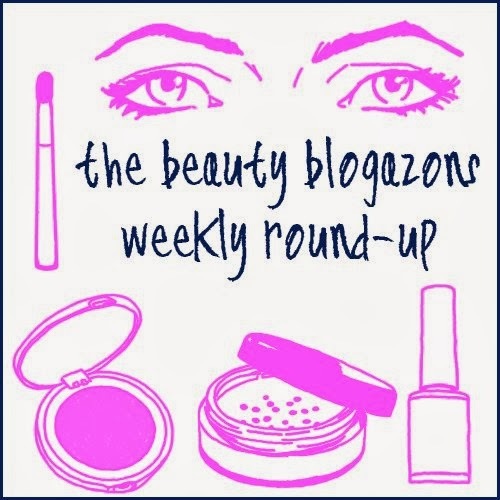 The latest and greatest from beauty blogs everywhere! Enjoy your reading time! Makeup Demon: New MAKE UP trends and collections. Lola's Secret Beauty Blog: Illamasqua Intense Lipgloss in Bella Donna is a deeply saturated highly pigmented deep pink that will outlast most lipsticks-- plus it's GORGEOUS! TheFabZilla: For this week's chit-chat, TheFabZilla tackles That Thing Called Lippy Phenomenon. Are you guilty as charged? Chrisamor Goodie Jar: You'd had thought a local indie lipstick would be so good? LoveBrandie is a gorgeous deep maroon lippy I think every girl needs to have in their collection. Midnight Manicures: Do you love subscription boxes as much as Jeanie does? If so, check out January's Beauty Box 5 unveiling. Peppermint Lips Beauty Blog: CoverGirl Outlast Stay Fabulous 3 in 1 Foundation Review! Beauty by Miss L: Does AVON Luxe Volume Extravagance Mascara really give your lashes luxurious volume? ColorMeSoCrazy: Join us for Red Coat Tuesday and check out my new lighting!! My Newest Addiction Beauty Blog: Laura uses the Stila In The Light in her Get Ready With Me Tutorial. Beauty Professor: The Beauty Professor just went to IMATS LA 2014 and is excited to share her experience as well as a haul video from the weekend!